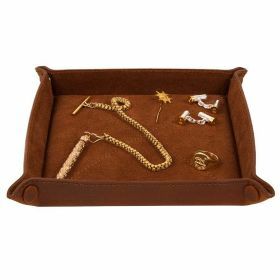 Empty your pockets of coins and keys and put your cufflinks, watch and small accessories into our smart suede lined coin tray. Made in our signature Richmond smooth, oiled leather. Gift boxed.